If you have several old projects in your library that you want to remove you can simply unregister them. All the clips/assets that are registered in the library will be removed. Note: The files that are linked to the assets will stay on the Backup Volumes and will not be removed! 2. 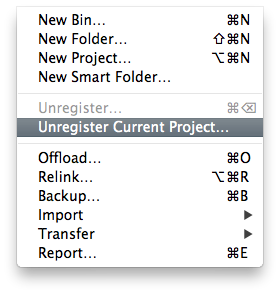 Select the Project you want to remove from Project selector within the toolbar. Silverstack will switch automatically to the next project. 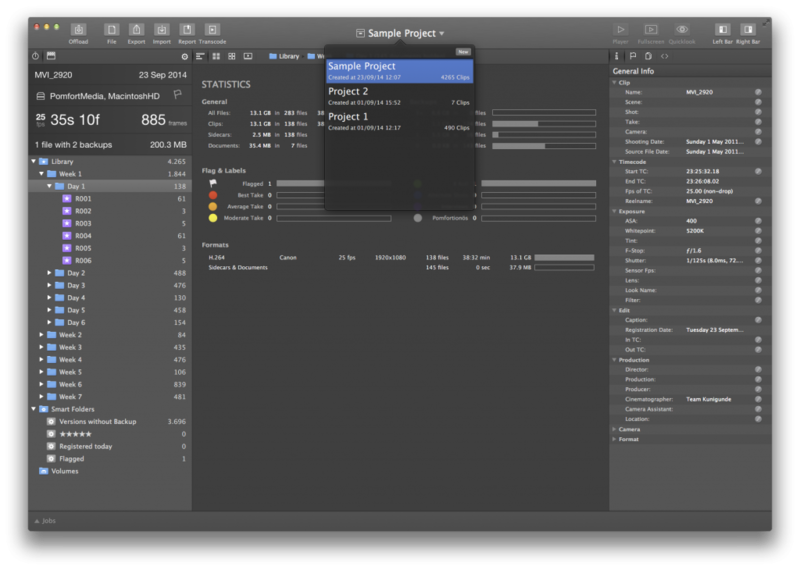 If there are no other projects within your library, Silverstack will automatically create a new one.